In 1913, Henry Ford introduced the assembly line to his factory. Since that day, billions of cars have been sold around the world and with 4 tires - that is A LOT of tires! For years, used rubber car and truck tires were thrown into landfills, creating an environmental disaster of gargantuan proportions. So the question became - What do we do with all of these tires? Why not turn these tires into useful products people can use in all aspects of their lives? Rubber starts out as sticky, gum-like liquid that flows out of rubber trees found in the tropics of Africa and Asia. This substance has been used for eons for many different purposes. Gloves, shoes and many household items all have some form of rubber on them, but the number one use for rubber is the making of tires. So, how do these tires become the rubber flooring we see today? Rubber tires become rubber flooring through a very complicated and top secret Area 51 process. Essentially, the tires are ground up into little strips and then glued and pressed back together to create, voila!, rubber flooring. 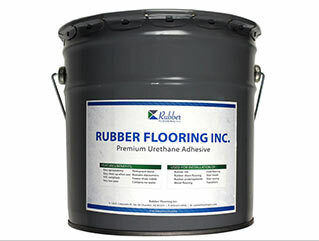 At RubberFlooringInc, we offer rubber in many forms - rubber tiles, rubber rolls and rubber mats. All of these can be used in varied capacities, but the main use for all of these is gym flooring. Whether you own the largest commercial gym in town or have a small garage gym, our rubber flooring will be the perfect floor for any and all types of exercises. 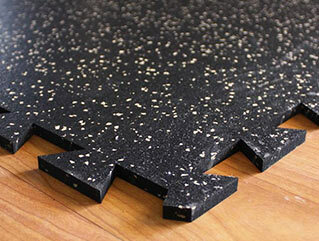 Our rubber rolls are our most popular rubber flooring type. Rubber rolls are great for large and irregular shaped spaces. Why do people like L-shaped rooms? I have never understood that. Our rubber rolls are available in several thicknesses - 5mm, 1/4”, 8mm, 3/8”, and 1/2”. With all of these thicknesses, the first question that comes to mind is: Which thickness is perfect for me? Below is a breakdown of where each thickness is most appropriate. 1/4” - Made for basic home gyms and exercise rooms. 8mm - Very durable rubber for commercial and home gyms. 3/8” - Most common thickness for commercial gyms and is a millimeter thicker than our 8mm. 1/2”- Ultra durable rubber designed for extreme use. Rubber rolls are easy to install. 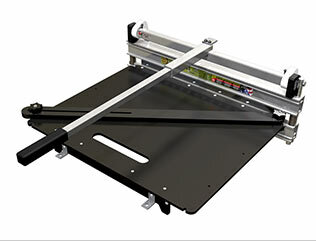 Depending on the application, our rubber rolls can be loose laid, double sided taped, or glued. For most home gyms, double sided tape is more than enough to keep the rolls down. For commercial gyms, glue would be the preferred installation method. If you are using rubber rolls as flooring under stationary treadmills and stationary bikes in home gyms, you can loose lay the rolls. Maintenance of our rubber rolls is very easy and can be done with a broom, vacuum or mop. When mopping, we recommend you use a mild soap and water solution and a synthetic mop head. Rubber tiles are a versatile flooring option for many areas of any home or business. 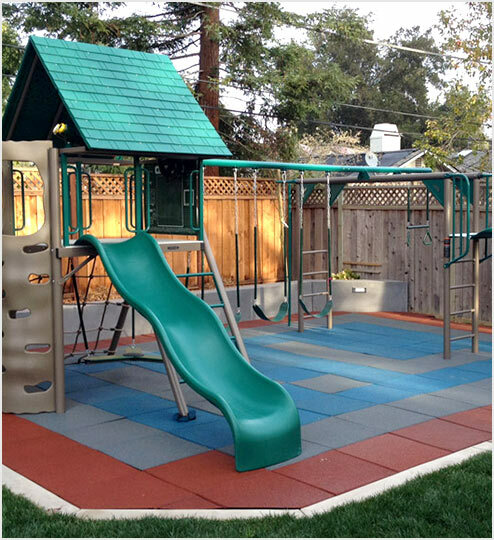 Our rubber tiles are designed to be used in gyms, playgrounds and other outdoor spaces. All of our tiles are easy to install and maintain and are backed by industry leading warranties. 1/2” - Ultra durable rubber designed for extreme use. 1” - For extreme weight lifting. 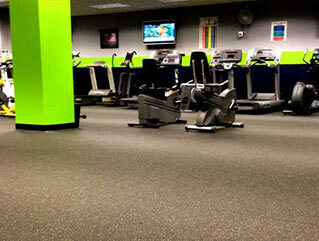 Rubber gym tiles are available in both recycled and virgin rubber in a variety of colors and textures. 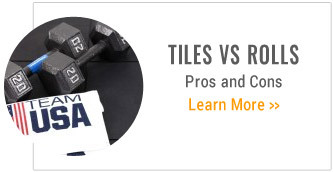 The most common rubber tile used in home and commercial gyms are porous tiles. Non porous tiles are more common in commercial applications and are more shock absorbent. Typically you will see these tiles in areas where heavy dumbbells and barbells are used. You will know that area by looking for the gym rats grunting and screaming in pain. These tiles are very easy to install and maintain needing only a broom, vacuum and mop. We recommend using a mild soap and water solution when mopping the floor with a synthetic mop head. Playground rubber tiles are very thick tiles that help to keep kids safe while playing on playground equipment. These tiles range in thickness from 1” to 4” and are designed to absorb the shock of kid falling from certain heights. Below is a breakdown of what thickness you will need to keep little Johnny safe while at play. 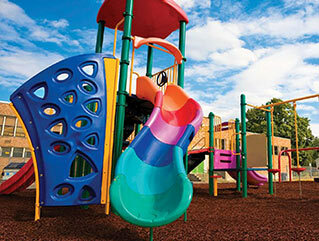 Installation of playground tiles is very dependent on the thickness. 1” thick tiles are installed using dowels, which are little pegs. 2.5” and 3.5” thick tiles are installed with tile clips or quad blocks. These are little adaptors that are used to hold the feet of the tiles together. 4” thick tiles are glued together or are glued down. Cleaning and maintenance of our playground tiles is very easy, requiring only a broom and hose. 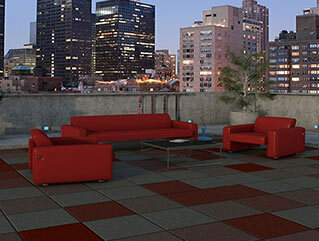 Outdoor rubber tiles are great for outdoor patios, decks, and stables. These tiles are available in patterns that mimic natural stone pavers and bricks. Our outdoor tiles are available from 5/8” - 1-3/4” thick. Installation of these tiles typically requires glue, but you can also install these rubber tiles with dowels or loose laid. 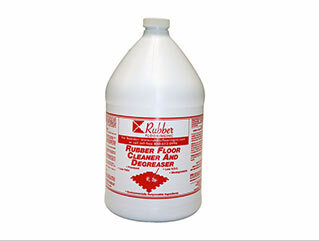 Maintaining our outdoor rubber tiles is very simple and only requires a broom and hose. Our rubber mats have become the floor of choice for high impact workouts. These rubber mats are very thick and provide excellent shock absorbency. 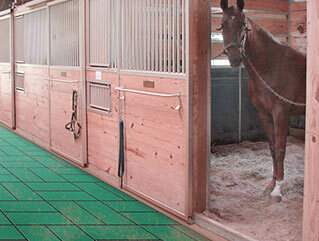 These rubber horse stall mats are available in 1/4”,3/8”, 1/2” and 3/4” thick. Below are what these mats are great for. 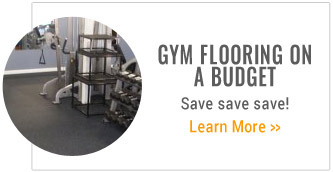 1/4” - Great for floor exercises and under treadmills and stationary bikes. 3/8” - Great for floor exercises, some high impact exercises and jump training. 1/2” - Great for all high impact exercises and jump training. 3/4” - Great for all high impact exercises and jump training. 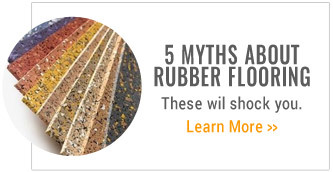 Rubber mats can be used as stand alone mats or as a full room floor. These mats are very easy to clean and maintain with the use of a broom, hose or mop. When mopping, we recommend using a mild soap and water solution with a synthetic mop head.